DIY Pest Solutions » Rodent Control » How Does a Mousetrap Work? When you have mice at home, you know that they are dirty and dangerous pests that spread a lot of diseases and can even carry rabies. Getting rid of every last one is a top priority and should be done as soon as one is discovered. The tricky problem with mice is that they travel in hordes and are actually very smart creatures. A mousetrap or rat zapper are proven to be very effective in catching mice and other rodents, but how does a mousetrap work? The most basic and cheapest kind of mousetrap you can purchase today is the reliable spring trap. These are typically small rectangular pieces made of either wood or plastic that are fitted with a metal spring which the user needs to set. The bait is set in place before it is locked and when a mouse touches the bait, the spring snaps shut. 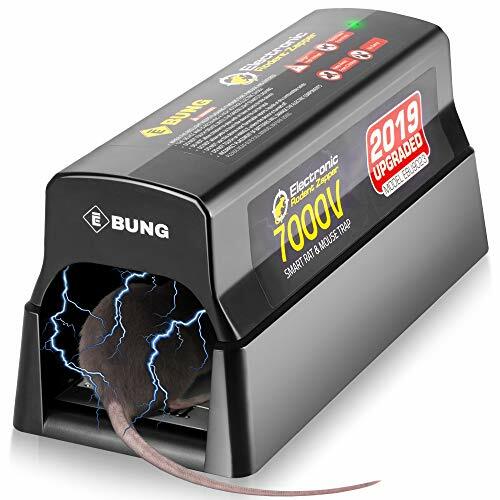 These mousetraps are usually very sensitive and require careful handling, but the trap will either kill or seriously injure the mouse it traps. Another type of kill trap is a more high-tech version which uses electricity to instantly kill the mouse when it enters the trap. There are also kill traps that use poison bait. These kill traps are often boxes which lure the mouse in through the poisoned bait and the trap it inside until it dies. The least popular type of kill trap is the glue trap. It works by trapping the mouse on a sticky surface preventing it from escaping, and they eventually die. It is a controversial mousetrap type because many argue that the mouse suffers a great deal before eventually dying. Most kill traps are reusable, even after they have already killed or maimed a mouse before. However the user must clean the trap thoroughly to ensure that the trap is free from bacteria, germs, and blood before setting it once again. The only kind of kill trap that cannot be reused is the glue trap because the mouse is stuck on the glue which means it needs to be thrown away immediately. Not everyone is comfortable using kill traps, even if they only maim or injure pests. This is why another popular type of mousetrap is the humane traps. A humane mousetrap does not cause any injury to the mouse; it only traps it and allows the homeowner to release the rodents far from their home. Humane mousetraps are typically box traps that shut close when a mouse triggers the spring door. The bait is set in the middle of the trap and when the mouse touches or moves the bait, they are trapped inside the box or cage until they are finally set free. These box traps are also known as live mousetraps, and are usually made of metal or plastic material, which makes them easier to clean. Since there is no blood or injuries to the mouse, cleaning the trap doesn’t take a lot of effort. It is also easier and safer to set because the spring does not snap closed on your fingers. These traps are very effective at catching mice without hurting them. The challenge is finding a spot to release them that is far from your home or other people’s home to ensure they do not come back. Those who do not want to spend any money on mousetraps can also make their own at home. One common yet effective DIY mousetrap is the bucket technique. What a homeowner needs is a bucket full of water and a ramp that is baited. The mouse will follow the trail of food up the ramp, fall, and drown in the water inside the bucket. A humane homemade mousetrap will also use a bucket, but a paper towel tube is attached on the end a of stool or table. The end where the bait is placed is hung over a bucket and when the mouse follows the trail of bait, they slide into the bucket and are trapped until they are released. There are different answers to the question, “how does a mousetrap work,” but in general, it should trap a mouse and prevent escape so you can deal with the rodent before redeploying or retiring the trap. Whether you choose a kill trap or a humane trap, the goal is to permanently get rid of the pest.